Sometimes we have a perfect degree, a well-written resume, means to apply for a particular job; still, we fail to achieve our targets and get the dream job we want. The point when one might ask about some Surah or dua for finding a job. As Muslims, we believe that Allah Almighty is the creator and provider of all the things in the universe. So we should rely on Him alone to achieve our aims. One should strive both physically and spiritually in the search for an earning. Physical effort means getting a good education, preparing your resume, seeking a job, organizing yourself for an interview. Spiritual energy means relying on Allah alone, putting your trust in Him, hoping for His mercy and making prescribed Duas for finding a job. Taqwa means to always be on guard and to protect yourself from sins. If one can attain taqwa in their lives then Inshaa Allah; Allah will help them find the necessary job easily. Rab-bigh-firlee wa tubb alayya Innaka anta at-Tawaabu ar-Raheem. Prophet PBUH taught us a beautiful dua to be recited after the Fajr salah for increasing provision or for getting halal means of earning. Keep on reciting this dua for finding a job. Giving in a small amount of donation or whatever you may afford even though you are broke. By giving charity and facilitating others in fulfilling their needs would assist you finding a job.It will make job searching easy for you. Another important thing is to ask righteous people to pray for you. That too will help a lot. May Allah deliver every believing person out of this condition and provide them a halal job and real income. May Allah make it easy for every Muslim to find a job. 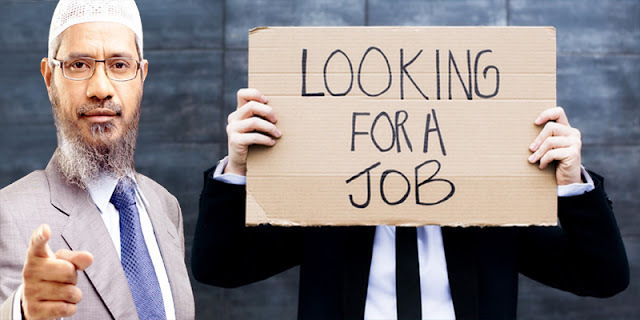 Keep looking for a job and keep on making dua for finding a job. Ameen. MashaAllah, may Allah rewards you abundantly. Jaxakal Laahu Khaer.....may Allah assist us in our struggles.